I have finally finished reviewing MARAD’s response to my FOIA Appeal. This was to have been received by Feb 9. I received it on Nov. 12, only after repeatedly reminding MARAD officials that they were very late. I’m kind of curious as to why MARAD sent this document to me via FedEx rather than by email. In the appeal, Michael Rodriguez, deputy administrator for MARAD, indicates that the agency has determined that their search for documentation related to my Nov. 4 FOIA request was reasonable in its scope. Related to the points of contention I offered related to redacted materials, MARAD partially granted release of these withheld items while continuing to deny others. Items were redacted based on personal privacy issues as well as attorney-client privilege. While MARAD was rabidly liberal about redacting information for government officials and Coast Guard officers from the documents, I found that there were other instances where private information for American citizens was not redacted as it should have been. I had to do that myself in order to protect the interests of STORIS vets as well as my own privacy. The government bends over backwards to protect itself, makes a huge issue about how I have to share this information, then sends me a huge electronic file that is cumbersome to edit myself without the correct software. If they want it shared, there should have been a consistent application of redaction to protect the privacy of private citizens rather than focusing on covering the behinds of government bureaucrats. Instead, MARAD’s inconsistent application of redaction seriously delayed the posting of this information until now. Another curiosity is why Rodriguez responded to this appeal and not Chip Jaenichen, the Chief Administrator of MARAD. Jaenichen has the final say on releases of information, particularly one like that of STORIS which has, no doubt, become a thorn for MARAD officials. MARAD responded that the inquiry into missing emails from Joe Pecoraro, superintendent of the Suisun Bay Reserve Fleet, will be a dead-end. Apparently, the agency claims that there is no backup system in place for the email system used by Joe Pecoraro. The release does bring 450 pages of materials to us for our efforts to find answers related to STORIS and her illegal disposition and scrapping out of the country. A lot of these materials have already been turned over through other FOIA releases, through MARAD or other government agencies. There are still some issues with this release for which I will be following up with MARAD. Here are the links to the various sections of the release. Some of these documents are quite large (upwards of 18 MB) so are best viewed on a desktop computer. P1- Correspondence between Jeff Siragusa of MARAD and the STORIS buyer, Mark Jurisich of U.S. Metals Recovery. The situation couldn’t have caused too much trouble for MARAD if they turned around and hired Jeff Siragusa from the wayward firm to work for MARAD. From what we’ve read in the MARAD FOIA paperwork released to me, Siragusa was directly involved in passing judgment on the legality of releasing STORIS for destruction in Mexico. He and the agency knew better yet they allowed this to happen. P2- Discussion related to moving damage control and technical manuals from land storage back aboard STORIS at Suisun Bay. These documents were undoubtedly destroyed. P3-4 – Discussion re: costs for storage at SBRF and maintenance by SBRF personnel. P5-7- Redacted documentation referred to GSA for release. P11-19- Cost breakdown for storage of the PLANETREE, IRIS, STORIS and possibly JARVIS at the SBRF. Interesting to note that the storage costs for STORIS were only noted at $33,500. This is much lower than other sources which indicated that the cost was significantly higher. This cost to maintain the ship was a driving factor in GSA expediting disposal of the ship as being “in the best interests of the government.” STORIS was sold for $70,100 in the June 2013 auction. P20-21- David Crisman, MARAD OSHA employee, conducted a survey of friable asbestos on STORIS on Aug 30, 2013. This was two months after the auction. Why was this done? P22- Redacted correspondence with Jeff Beach of Coast Guard related to the steps needed to remove STORIS from the SBRF. P23-27 – Correspondence (redacted) related to CG personnel checking serial numbers of small boats aboard PLANETREE, IRIS and STORIS and inspecting the cutters themselves. P35-36 - Joe Pecoraro references GSA auction on 7/1/13, states it is bad PR for the Coast Guard. He says that it’s a shame as the ship was in really good condition for her age and would have made a good museum ship. P36-42 – Discussion of storage costs for the two 180s and STORIS at SBRF, into 2014, then discussion with the pending departure of STORIS in FY 2013. P44-52- Discussion re: removal of filter assembly from PLANETREE or IRIS to replace a damaged unit aboard a 378. STORIS was accidentally boarded by contractors looking for the filter. P101- 7/11/13 CG email to GSA, CA law requires hulls to be cleaned every 5 years. STORIS hill cleaned in 2007. Why wasn't it cleaned before it went to Mexico? P 107- Discussion again within MARAD offices related to STORIS and her designation as free of PCBs. Also reference to Jeff Siragusa walking through STORIS and making a determination that the ship was free of PCBs based on observing new wiring on board. This does not acknowledge all the old/original wiring that we know was on board based on statements from members of her final crew. Siragusa should have known STORIS couldn’t have been free of PCBs based on her age and prior use. P111-129 – Correspondence from me to MARAD regarding MARAD allowing export of the ship. On page 126, there is an issue in that, with my email to Franklin Parker (MARAD), Garbow (EPA), and Frederick Kenney (CG) dated 10/28/13, the CG never gave me this email in their FOIA release. I pointed this out in the recent correspondence with CG. P140 – There is an EPA email to MARAD re reflag request dated 10/29/13. Where is document? P222 – Kevin Tokarski email that cc’s MARAD Administrator Jaenichen. We’ve never seen any of Jaenichen's emails from MARAD in any of the releases. Where are they? P248 –10/23/13 email from Kevin Tokarski to Franklin Parker, counsel for MARAD. Like the emails from Jaenichen, we haven't received any of Parker's emails through FOIA, either. Even if they were redacted through attorney-client privilege, these emails aren’t otherwise acknowledged. The rest of the document is repeated correspondence and the monthly rosters and maintenance records (with expenditures) for the Coast Guard in order to keep STORIS at the SBRF. This also includes visitor logs. There is no record of the buyer, Mark Jurisich, visiting the ship prior to the auction. He only goes aboard after the sale, so the ship was purchased sight unseen, apparently. The documentation of the ship’s condition does demonstrate that she was in excellent condition, and an email from MARAD historic preservation officer Barbara Voulgaris shows her disappointment in STORIS being lost to scrapping. In late October 2014, the Office of the Inspector General for the U.S. Department of Transportation initiated an investigation into the management controls of the U.S. Maritime Administration. Since at that point through the Freedom of Information Act we had already received a lot of documentation from MARAD related to the mishandling of STORIS, I wrote to the IG's office and provided details of the illegal excessing and sale of the ship. I received very friendly and positive responses to the information I submitted. I followed up in February of 2015 with some additional information that came to light in subsequent MARAD releases. 1. The sale of STORIS through the General Services Administration was a violation of 40 USC 548 because her tonnage exceeded GSA's 1,500 ton statutory limit. MARAD should have been directly involved with STORIS' disposal, not GSA. Yet as CG and GSA broke laws with STORIS' excessing and sale, MARAD officials stood by and did nothing. 2. STORIS, as a former US Government vessel, should have been prevented from being exported for scrapping in Mexico through Section 3502 of the Duncan Hunter NDAA of 2009. Again, MARAD did nothing to prevent this. 3. STORIS likely contained regulated amounts of hazardous materials including PCBs that should have made her transfer through sale illegal. Exporting PCBs is banned through the Toxic Substances Control Act of 1976. "MARAD is the disposal agent for obsolete NDRF vessels and some vessels owned by other Government agencies. (Footnote 13) However, the Agency lacks policies and procedures for notifying other Federal agencies of its role as the disposal agent and identifying the universe of Government-owned vessels it is responsible for disposing. Because MARAD does not have statutory authority to enforce compliance by other Federal agencies, the Agency has established ship disposal agreements with some but not all applicable Government agencies. For example, MARAD has disposal agreements with the Navy, U.S. Coast Guard (USCG), and General Services Administration (GSA), but not with the National Oceanic and Atmospheric Administration—which, according to MARAD officials, also owns vessels under MARAD’s purview for disposal. Additionally, most of the agreements are vessel-specific and do not cover the universe of applicable vessels for which MARAD is responsible. For example, MARAD’s May 2013 agreement with the USCG covered disposal of two USCG cutters that were under 1,500 gross tons—the Planetree and the Iris—but it did not cover other USCG cutters that may have been under MARAD’s purview for disposal. Therefore, some of these agreements have not been effective to ensure MARAD always fulfills its responsibilities as the ship disposal agent. 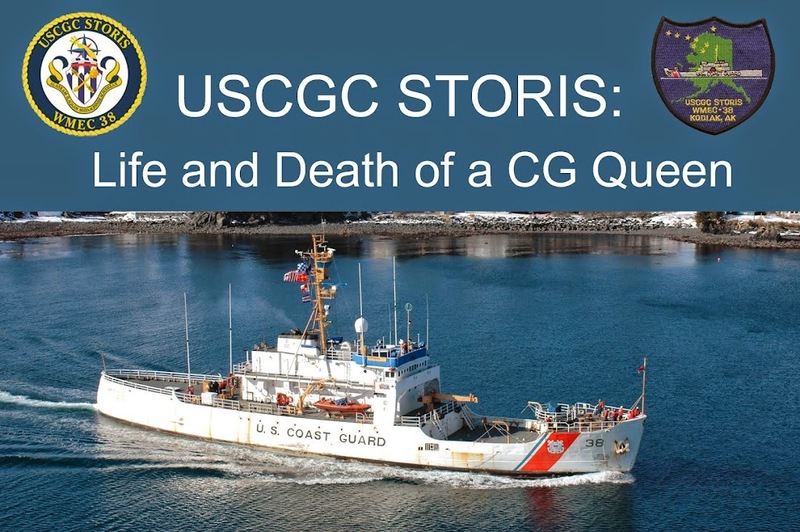 For example, even though MARAD had the agreement with USCG to dispose of two of its cutters, the USCG disposed of another cutter, the Storis, through GSA without consulting MARAD to determine if the Storis fell within the Agency’s purview. When MARAD does not dispose of vessels for which it is responsible, the Agency may not receive proceeds for its Vessel Operations Revolving Fund for MARAD and National Parks Service (NPS) programs. (Footnote 14)"
As 2015 comes to a close, we are hoping to continue pushing in the new year for additional action on behalf of STORIS and her vets. This audit release shows we are on the right track.